A few weeks ago my lovely friend Jacque introduced me to one of my new favorite things… fresh, unpasteurized, unhomogenized milk. Since I have become such a big fan of this raw milk craze, I took some pictures of the little stand I get it from. There are three stands set up along the road leading to the dairy farm. Here is a shot of the milk shack. It is on my way home from work, which makes it very convenient for my milk runs! 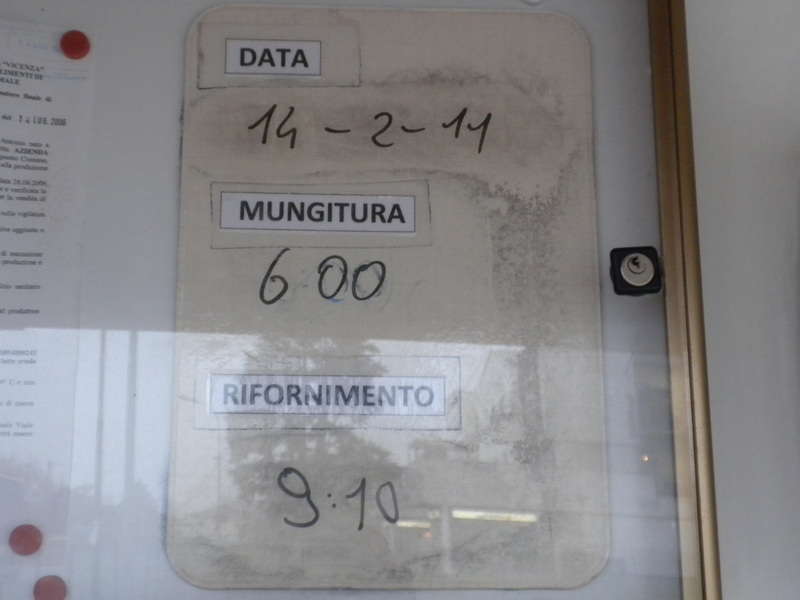 Here you can see where the farmer writes the day the cows were milked (they are milked daily), the time they were milked (6am this morning) and the time the milk was delivered to the milk shack (910am this morning). When I pick up the milk on my way home from work I am getting milk from cows milked less than 12 hours earlier! 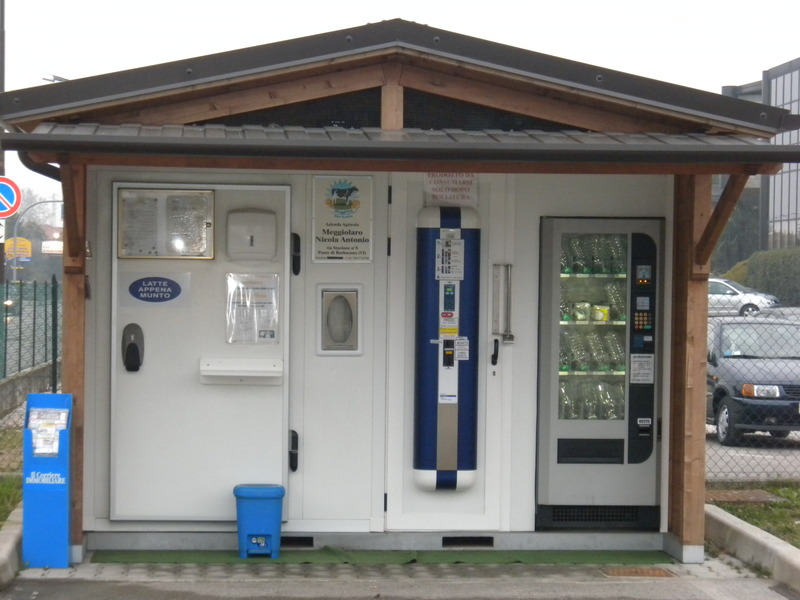 So, the way to get the delicious milk is this: First you either bring your own bottle or buy one from the convenient vending machine at the little shack. 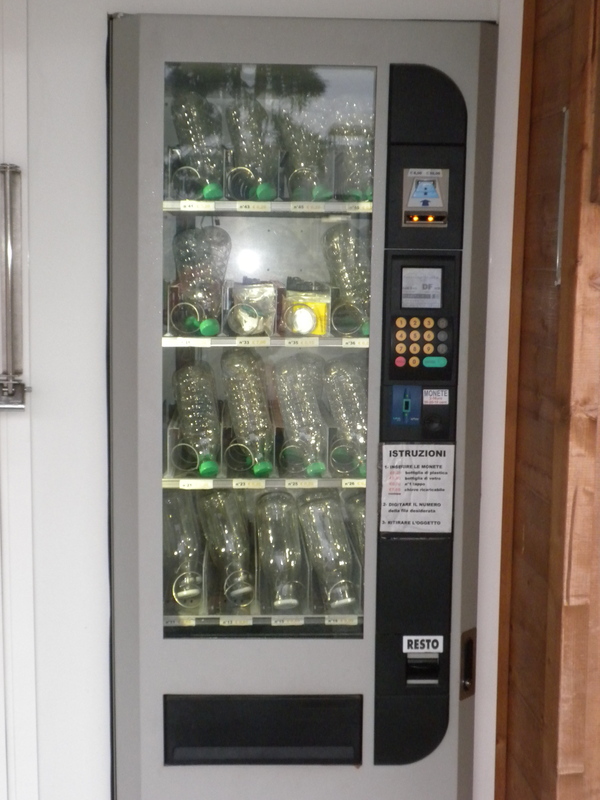 It costs 80 cents for a glass bottle and 20 cents for a plastic bottle. 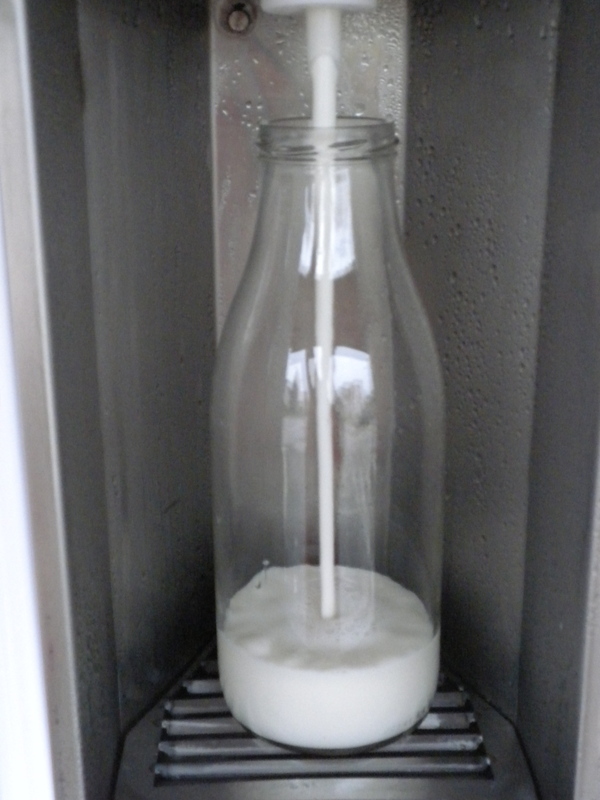 Next, you put the empty bottle under the spout and watch as the creamy milk is dispensed. One liter costs one euro, not bad for all this goodness! Finally, you take your milk home and enjoy the best glass of chocolate milk of your life! The raw milk does not last as long as pasteurized milk so if I have not finished a bottle after a few days I pour it into my nightly bath, absolute luxury! If you have a chance to try raw milk please do, it is fantastic! Wow, you can see how creamy it is just pouring into the bottle!